Do you live in Sussex, Surrey or Kent and need to get your car from A to B on a transporter? At White’s, our vehicle transport service operates across these areas, providing a rapid and professional response when you most need it. 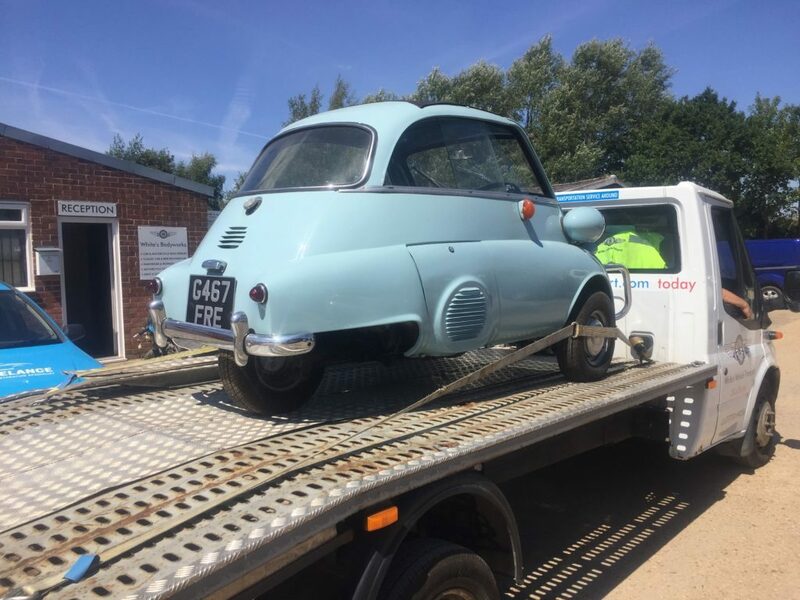 If you’re within 60 miles of our main garage in Hassocks, Sussex, we can respond to your car transportation needs quickly, including for emergencies. Perhaps your car has broken down and you need to get it to the local garage. Or you’re selling a car and want it delivered to the customer. Your car might not be road legal yet but you still need to get it from A to B. Or maybe there’s been an accident and you need the vehicle recovering by a professional team you can trust. Whatever the reason, our Ford Transit Transporter is perfect for handling single cars and those unexpected transportation needs. Our professional driver will pick up from your location, load your car safely and securely, and get it to the desired location with the minimum of fuss. We operate anywhere in a 60 mile radius of our main business in Hassock’s, Sussex and can arrange safe delivery at a time of your choosing. Contact us on 01273 933633. 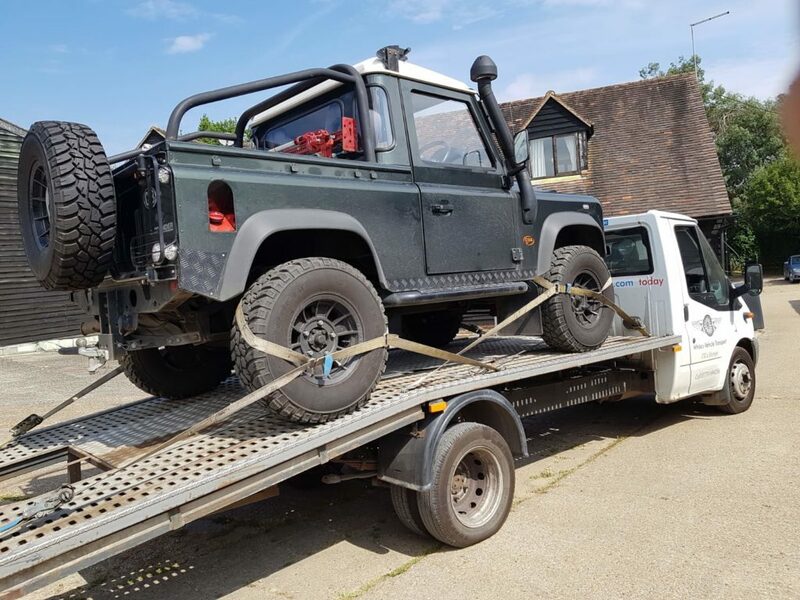 Based in Hassocks, West Sussex, we’re in the perfect location for providing vehicle transport across the three counties of Sussex, Surrey and Kent. We’ve got a pretty good reputation for delivering what our customers need at a price that’s affordable. With nearly 30 years’ experience, you know you can trust our team and you’ll always get a professional and friendly response when you contact us. From our central base, we’ll be able to respond to your needs quickly and efficiently. Our transportation team is used to dealing with cars of all types and are experts are masters at handling all the logistics. From Brighton and Worthing to Crawley and Buxted and everywhere in between, if you are within 60 miles of our garage, we’ll provide the quick and efficient response you’re looking for. All you need to do is pick up the phone and give us a call on 01273 933633. Sometimes you just want a one to one, local service that you can really depend on. At White’s, our main day job is repairing cars at our garage in Hassock’s, Sussex. We’ve got a pretty good reputation for that too. We find that people often need more than the odd ding or dent repairing, however. Our Ford Transit Transporter is ideal for those one off transportation needs which is the reason why we get calls from local customers who need our help. You might have broken down and want to get your car back home. Or maybe you’re moving house and driving your car to the new home isn’t an option or too much trouble. Perhaps you’ve bought a car and have to arrange the delivery. 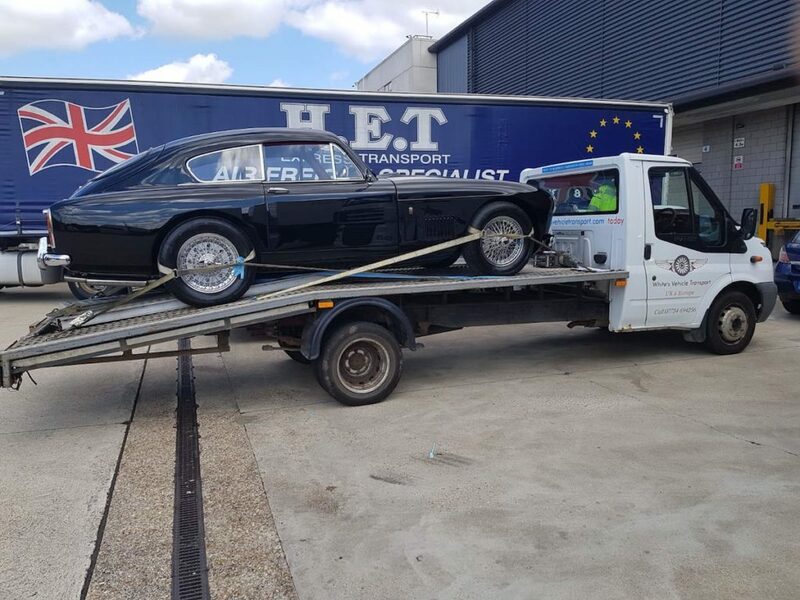 Finding a car and vehicle transport service that you can rely on can be challenging. At White’s Bodyworks in Sussex, we do everything we can to make life easy for you. The Ford Transit Transporter is ideal. It’s simple to load any car onto the back and it normally takes just a few minutes before you’re ready to go. Our driver will then deliver your car to the location of your choice at a price you can afford. 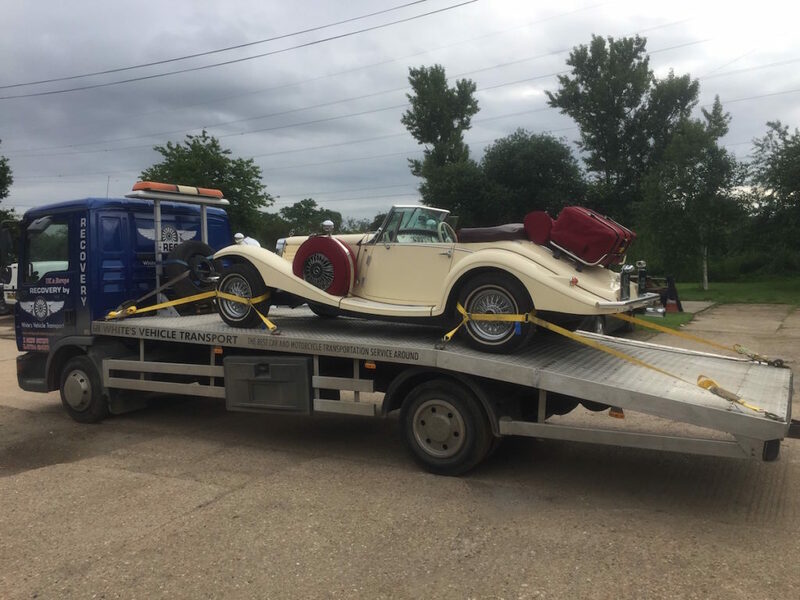 If you suddenly find that you need a car transport service but want someone you can trust, contact the professional team at White’s Bodyworks today to see how we can help.